Condition: Minor wear consistent with age and use. Desireable wear to painted finish. New upholstery (swatch available). 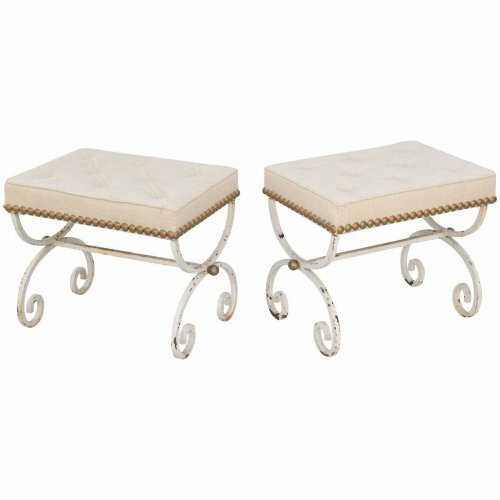 Pair of stools/benches, of wrought iron, with distressed painted finish; each having a rectangular boxed seat, upholstered with nailheads, on scrolling X-frame legs, joined by bar stretcher, accented with gilded balls.